The International Forum of Eurasian Partnership is an exclusive opportunity for bilateral and multilateral cooperation. Armenia can become a smart region and play a special role in all over the Eurasia. This is a statement made by the member of the British House of Lords Baroness Caroline Cox. – Historically, in the times of the First Silk Road Armenia was the country that connected the East to the West. I don’t see any reason, any problem for Armenia to fail returning its historical role. Hence, in 21-st century, Armenia must change itself and return its leadership as a smart district,- she has noted , adding that Armenia in that way can become the gate of Eurasian region. Armenia has the all opportunities to become a leader. 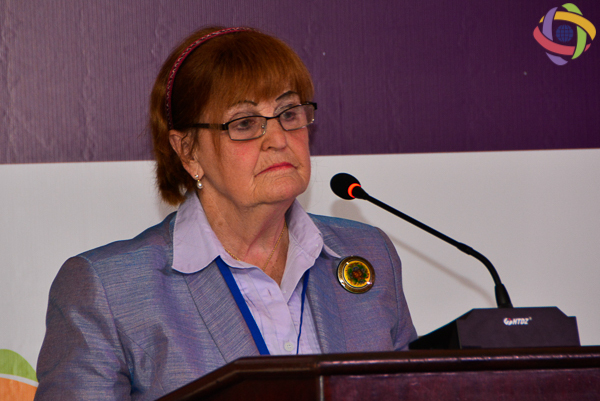 Baroness has also stressed that she is impressed with the leadership of Ara Abrahamyan. – I am more than confident that he will manage to lead both the Forum and Armenia by the road of constructing a “smart region”. There are many things in life that impressed me, but what You are doing in the field of science, really impresses me.